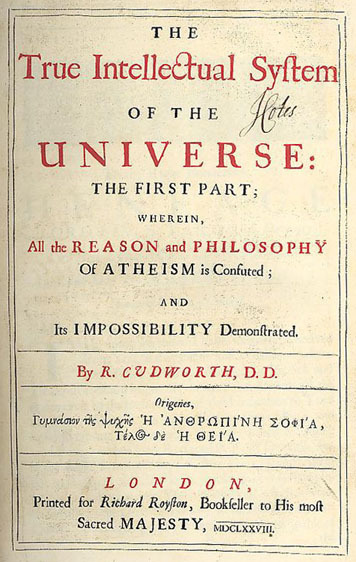 In the English-speaking world, the history of modern philosophy—roughly, the period from 1600 to 1800—has traditionally been focused on a few great canonical figures, especially the “rationalists” Descartes, Spinoza and Leibniz, and the “empiricists” Locke, Berkeley and Hume. For generations, students have learned about these figures, but have very rarely heard about any philosophical achievements of early modern women. This website helps us to transcend traditional narratives shaping the canon. The website will be the virtual hub for an international network of scholars to work together in expanding our research and teaching beyond the traditional philosophical “canon” and beyond traditional narratives of modern philosophy’s history. . . .
Our website concerns the next major scholarly development: the acknowledgement that a number of early modern women have been unjustly ignored in our narratives. From Lady Masham, Margaret Cavendish and Anne Conway in England to Émilie Du Châtelet in France, many women played significant roles in the development of modern philosophy, but their contributions have often gone unnoticed. The website has three primary goals. First, it seeks to provide students at all levels with the materials they need to begin exploring the rich philosophical ideas of Cavendish, Conway, Du Châtelet and Masham. Second, it aims to provide teachers with the material they need to incorporate these four figures into their courses. Third and finally, it aims to help transform our current conception of the canon. Jean-Pascal Anfray (2014). Partes extra partes. Étendue et impénétrabilité dans la correspondance entre Descartes et More. Les Etudes Philosophiques 1. Un enjeu central de la correspondance entre Descartes et More concerne le rapport entre étendue et impénétrabilité et implique ainsi l’analyse du concept d’étendue. Dans celle-ci, la discussion de la structure méréologique partes extra partes est essentielle. Ces deux philosophes comprennent de deux manières différentes la nature de ce rapport méréologique et on essaie de montrer que cette double compréhension trouve son origine dans les discussions scolastiques sur les rapports entre quantité et étendue. C’est à partir de l’éclairage apporté par ce contexte scolastique que l’on relit l’échange d’arguments entre Descartes et More autour de l’impénétrabilité et que l’on analyse deux propriétés – spissitude et indiscerpibilité – que More attribue dans ses textes tardifs à l’étendue spirituelle. The relation between extension and impenetrability is a major issue in the Descartes-More correspondence, which implies an analysis of the concept of extension. In the course of the attempt at characterizing it, the mereological structure partes extra partes is a crucial element. Both philosophers hold two opposed views of this mereological structure. I try to show that these two views can be traced back to scholastic discussions on quantity’s relation to extension. This background provides a vantage point, which enables to propose a new construal of the argumentative exchange around impenetrability, and which casts some light too on our understanding of two properties – spissitude and indiscerpibility – which More attributes to spiritual extension in his later writings. Author Derek A. MichaudPosted on 9 March, 2015 Categories Henry More, Publications, Rene Descartes, Secondary SourcesLeave a comment on Jean-Pascal Anfray (2014). Partes extra partes. Étendue et impénétrabilité dans la correspondance entre Descartes et More. Les Etudes Philosophiques 1.